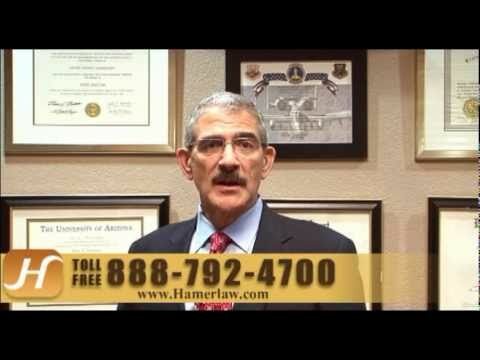 For more than 25 years, The Hameroff Law Firm, P.C. in Tucson has offered sound legal advice, hands-on personal service and dedicated representation to individuals and families in southern Arizona who have suffered a serious personal injury or the wrongful death of a loved one due to another’s negligence. Our team of highly skilled and experienced professionals will fight for maximum financial compensation for victims of auto accidents and any negligent, careless or wrongful act that results in serious, severe or fatal injury. Contact us today to schedule a free consultation with an experienced Arizona personal injury lawyer. We also assist those who have been in an accident with an underinsured or uninsured driver. We also handle dog bite claims and wrongful death lawsuits on behalf of families who have lost a loved one in a fatal accident. For additional information, visit our Accident FAQs page. For a free consultation, please call our Tucson offices at 520.792.4700 or 1.888.792.4700 today to discuss your wrongful death or personal injury claim with an experienced Arizona lawyer. You can also send us an email at info@hamerlaw.com to schedule an appointment. Please read our disclaimer before sending a communication.